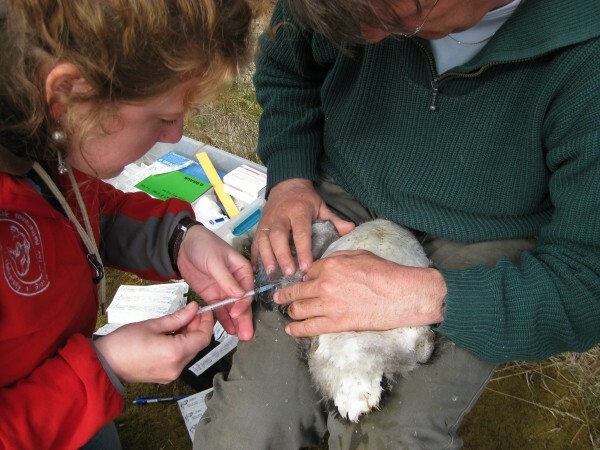 Every week, we measure the growth of the goslings and take a small blood sample for various immunological tests. 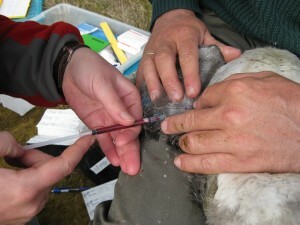 Maarten holds the geese and Kathryn is taking the blood sample. This page has been given the following keywords: [barnacle goose] [birdhealth] You can click on each keyword to get an overview about related pages.